As we all know paintings are more commonly objects of fraud but there have been quite a number of literary frauds as well. A gentleman called Thomas Chatterton wrote a number of poems, then claimed they were written by a 15th century monk named Thomas Rowley. Chatterton claimed all he had done was transcribed them. He maintained this ruse right up until his death, when several scholars realized they were actually Chatterton’s work. 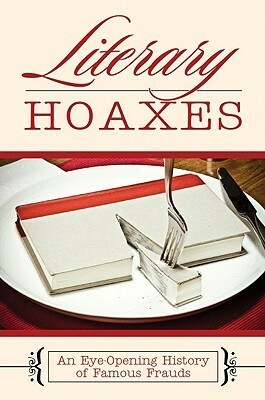 Not all hoaxes have such a long time span. Clifford Michael Irving claimed in the early 1970’s, he had a series of handwritten letters by the movie producer and infamous recluse Howard Hughes. His plan however did not work as Hughes lawyers were quick to act, initializing a law suit against Irving. Another failed hoax that hit the headlines was a German news magazine, Stern, who published excerpts of the diaries of Adolf Hitler. Supposedly the books had been recovered from an air crash site near Dresden in 1945 then stashed away for many years. The magazine paid nearly nine million German marks (about $3.5 million). Although the documents were subjected to handwriting analysis, it was not until after publication that the fact they were written on modern paper with modern ink was revealed. Two so called “memoirs” have recently been shown to be totally fictional. Misha Defonseca’s Surviving With Wolves told her story of killing an SS officer as a child and then being saved by wolves. Misha was actually born Monique de Waal, a Belgian Catholic girl. The other memoir was Margaret B. Jones’ Love and Consequences describing her life as a gang member, when in reality, Margaret Seltzer (her real name) actually grew up in the San Fernando Valley with her nice, stable, intact biological family. She had no Native-American ancestry nor did she ever live with black foster brothers. It was Seltzer’s own sister who exposed the hoax. Even famous people can be fooled. Oprah was convinced of James Frey’s A Million Little Pieces tale of drugs, rehab and redemption when it was published in 2003. Subsequently it was revealed Frey had never been a drug user. Makes you wonder, especially in this day and age of instant news, whether someone plagiarizing your novel could end up working in your favor. If the story ends up going viral (and assuming people know you’re the original author) you could potentially see a spike in sales. Great post. Thanks for dropping by Nic. As you say it could work in your favor although I have found authors on social media who have been the victims of plagiarism and it was not pleasant.